Matt Howden has found his musical throne to sit on years ago, and with every album he brings forth as Sieben, we get to get a glimpse into this consistent, full and firm reality that he creates with violins and his distinct voice. With powerful lyrics and determined, brilliant music, Howden plays intricate spirals of fierce rhythms that make, by the power of inertia, his singing so irresistible. More than anything else, Howden convinces us listeners with his creation. 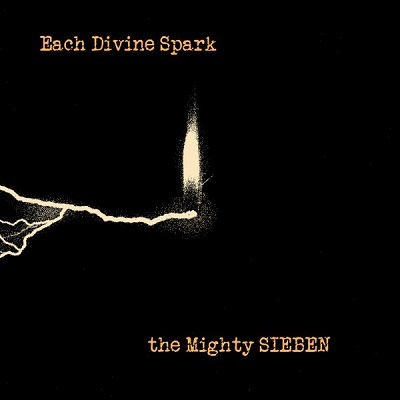 ‘Sieben’ is not a show, and ‘Each Divine Spark’ is indeed a bloody offering from the yearning guts of its creator. Fans of Sieben’s work should not even bother reading this article, and go get the album. They know they are going to get a sincere and powerful creation with it, and will not be let down. Other people who are not familiar with Howden’s work will find this treasure of an album to be a wonderful gift for the soul.